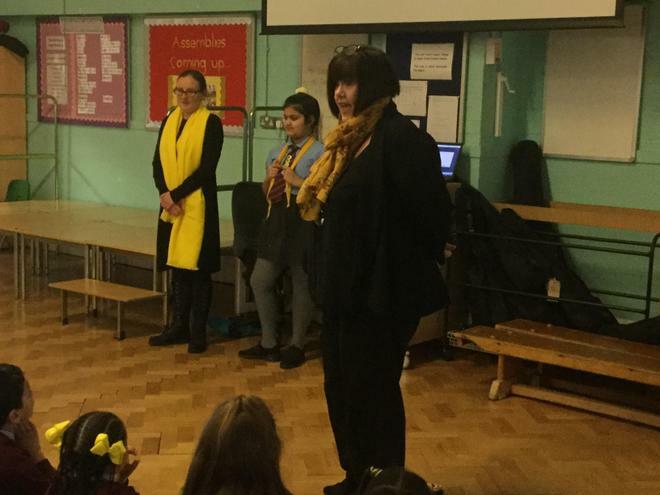 National Young Carers Awareness Day was on Thursday 31st January and Becontree Primary School marked the event by holding a special assembly led by its school Ambassadors for Barking and Dagenham, Rebecca Tansley (Parent) and Amna Gulzar (Pupil). 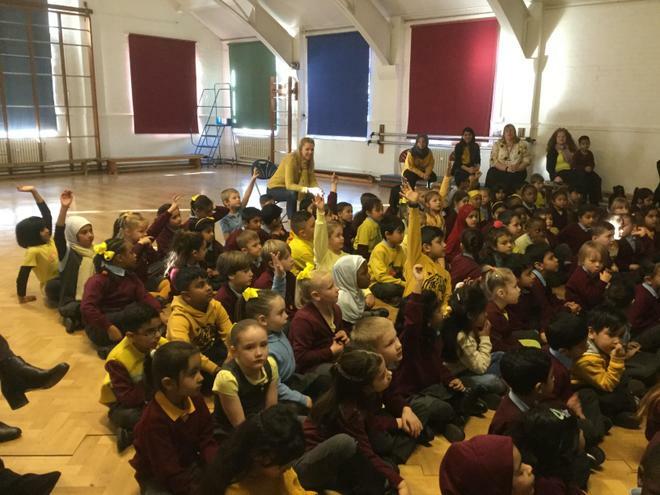 The staff and children wore yellow to mark the day and to raise money for the Young Carers charity. A Young Carer is someone under the age of 18 who helps look another family member who may be physically, emotionally or mentally unwell. The work is often time consuming and tiring and very often young carers’ own needs are forgotten. However, to support them, the charity offers them the chance to be free from their caring responsibilities through activities, clubs, outings, holidays and one to one support. 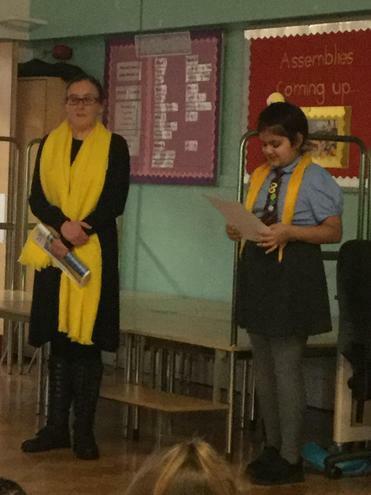 Amna (who is a Young Carer herself) spoke about the vital work Young Carers do to provide support for her and her family. 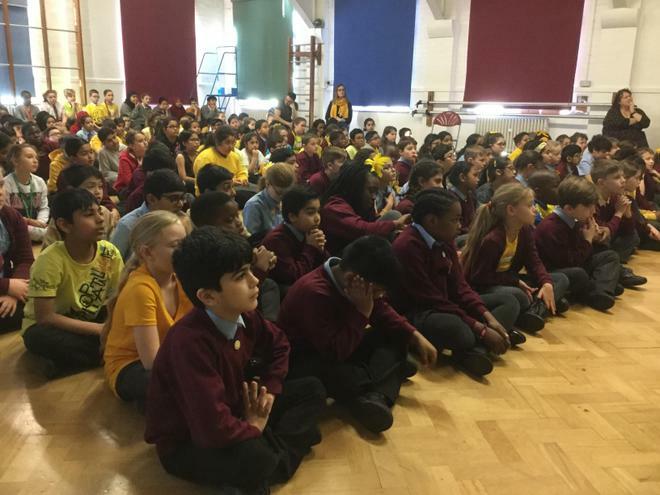 The assembly was very successful in raising awareness amongst the pupils, with some children coming forward to identify themselves as a young carer. The parents of these children have since been referred to the charity for further advice and support.